Luann’s conflicts with Dorinda Medley and Ramona Singer have been a focus of the season so far. Both costars angered Luann by mocking her approach toward rehab and recovery. For the moment, Luann and Bethenny Frankel appear to be on solid ground. But based on their past, there is some truth to Ramona calling it a friendship by “default.” In past seasons, Luann and Carole Radziwill were mostly “all uncool.” It was a coldness rooted in Carole’s relationship with Adam Kenworthy, Luann’s former chef and the ex-boyfriend of her niece. Luann has even accused Tinsely Mortimer of being a mean girl even though I don’t think Tins could hurt a fly. So, who is Lu’s least favorite Housewife? The Real Housewives Of New York are back in the city and on the other side of that diarrhea situation – but that doesn’t mean the sh*t is done exploding. This week finds everyone recovering from the hellish adventure they just shared together in Cartegena, mainly by throwing parties and showing off renovations. Housewives style! The first event is Ramona Singer’s big reveal in the Hamptons. Her home is officially renovated and de-Mario’d, courtesy of Ramona’s maven-like bargain hunting. It does look gorgeous, and Ramona basks in her new digs as Dorinda Medley, Luann de Lesseps, and Sonja Morgan come over to ooh and ahh. “I did everything online!” chirps Ramona as Luann channels her former Countess, side-eyeing the simplicity (i.e. non decorator-approved) of the home. “This is the reveal?” she wonders. “Revealing.” At least Ramona did Jill Zarin a solid and promoted her rugs on air! 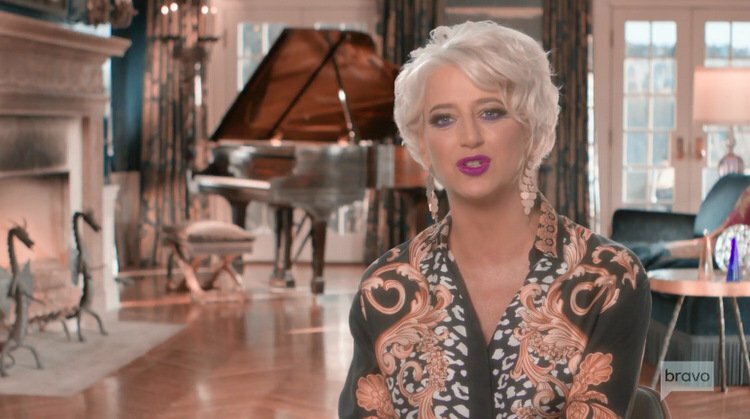 Season 10 of Real Housewives of New York has been killing it all season. There have been no filler episodes at this point and hopefully I didn’t jinx that since there is a new episode on tonight. Carole Radziwill getting candid! The Real Housewives of New York star shares her thoughts on Luann de Lesseps‘ arrest, her relationship with Adam Kenworthy and reveals her struggle every season to decide if she should return to the show. Carole also dishes on which cast member makes her laugh the most. Yesterday the news broke about Tinsley Mortimer’s (most recent)breakup with Scott Kluth. So it was perfectly awkward timing for her to be Andy Cohen’s guest on last night’s Watch What Happens Live episode. This is also on the heels of last week’s episode where she tried on wedding dresses (even though she wasn’t engaged) and FaceTimed her frozen eggs down in Florida after she forgot to pay the bill. Clearly there’s a lot to unpack with this (former?) relationship. Tinsley discussed her most recent breakup with Scott, her confrontation with Luann de Lesseps’ ex-husband Tom D’Agostino in Palm Beach, Carole Radziwill and Bethenny Frankel’s beef, and other Real Housewives of New York drama in the Bravo Clubhouse. Anyone who is watching the current season of Real Housewives of New York is witnessing a historic battle. This Carole Radziwill vs. Bethenny Frankel feud is delivering some major drama. Bethenny finally found a worthy adversary and Carole is not backing down. Carole answered every Bethenny-related question that came her way during last night’s episode of Watch What Happens Live. 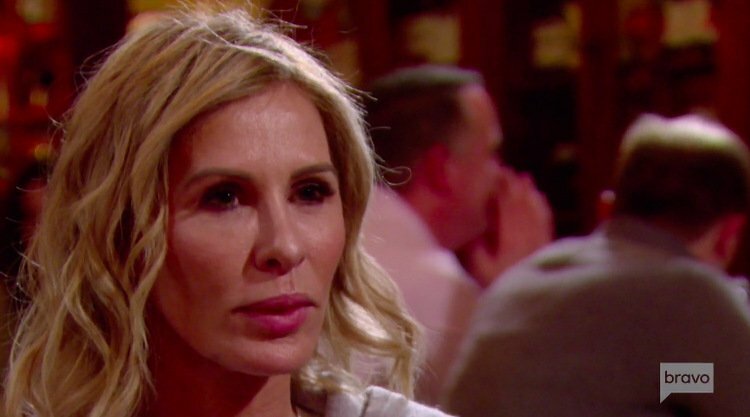 There is no doubt about it: Carole Radziwill is not playing around this season on Real Housewives of New York. She is out for blood- specifically Bethenny Frankel’s. Not only is Carole standing up to her former BFF during the episodes, but she is also eviscerating the self-proclaimed Queen B online every week when a new episode airs. The Season 10 reunion is going to be insane. Carole and Bethenny will be on opposite couches for the first time in a while and Carole has definitely earned that first chair next to Andy Cohen.